Valley under the Ponce mountains continues to host the FIS OPA Continental Cup. 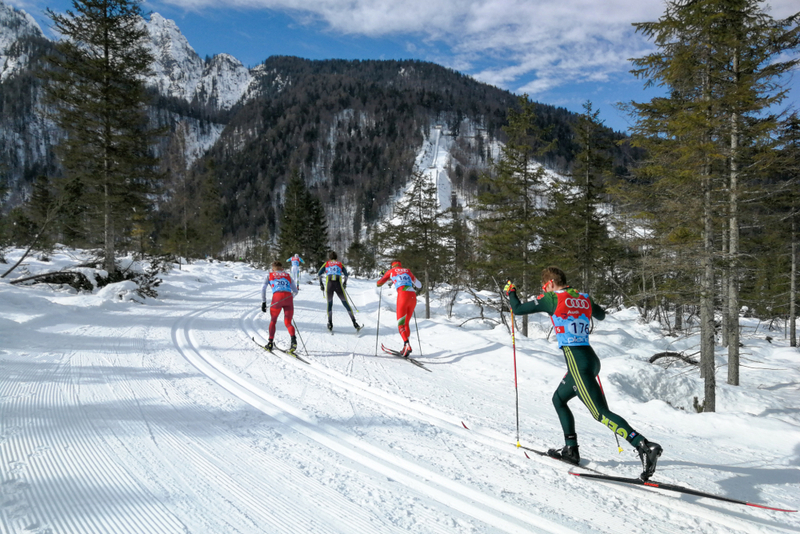 Today Cross-Country skiers competed in individual races in classic technique. Alexey Poltoranin of Kazakhstan was the fastest to beat the 15-kilometre distance, Karel Tammjarv of Estonia finished in second place and Dominik Bury of Poland in third. The highest ranked Slovenian was Benjamin Črv with 21st best time. Lucia Scardoni of Italy won the 10-kilometre competition, her teammate Sara Pellegrini came in second, while Nadine Herrmann of Germany finished third. As 24 hours before the best home athlete was Anita Klemenčič, who finished in 16th place. 10-kilometre U20 race was concluded with a triply French victory on behalf of Jules Chappaz, Theo Schely and Mathieu Goalabre. The fastest Slovenian was Vili Črv with 18th best time. On the ladies side, German Lisa Lohmann was the fastest athlete in the 5-kilometre competition. Cindy Kammler also from Germany was second and Czech Barbora Havlickova third. 18th place belonged to Anja Mandeljc of Slovenia. The competition in Planica will finish tomorrow with mass starts.